Upon arriving to the Andaz Scottsdale Resort & Spa, we were greeted with a warm welcome, complete with complimentary beer and wine at the front desk! As we walked to our rooms, we realized that each room was more like a little casita, or bungalow, as they call them, with each individual accommodation having the utmost privacy and space. The room itself gave off artistic vibes, from the mid-century furniture: an eclectic purple chair, colorful pillows, to a fully stocked bar – not with mini alcohol bottles but large bottles of Maker’s Mark, Patron, and more. The most impressive part of the bungalow was the bathroom with a his-and-her shower that had three shower-heads, and was not only huge, but beautiful! We wandered over to the pool and immediately felt like we were part of the 1960’s elite, with the backdrop of Camelback Mountain, retro tunes, and bright yellow towels everywhere. We ordered a Gimlet cocktail and a Tequila Rose cocktail, and both were delicious. 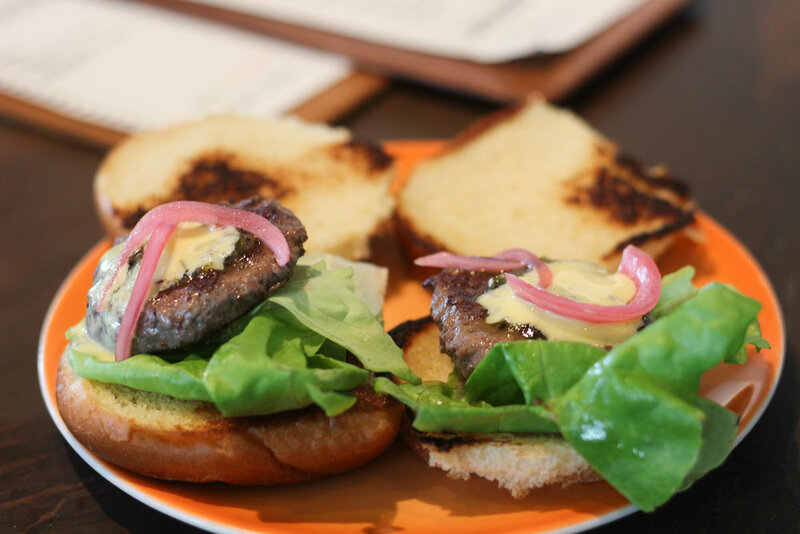 We hopped out of the pool just in time for happy hour at Weft & Warp Art Bar & Kitchen and ordered the Waygu Sliders, the Blistered Shishito Peppers, and Chicken Liver Mousse on Toast. Each appetizer was under $10 and was a steal for the delicious flavors. The Blistered Shishito Peppers were the most fun to eat because you didn’t know if you were going to get a hot pepper or not so it was a risk to take with each bite! We then decided to take a stroll of the grounds and found beautiful vegetation with the sun setting against Camelback Mountain. After our stroll we decided to stay-in for dinner and order in from one of the awesome surrounding Scottsdale restaurants. The next day I woke up early and decided to have breakfast alone. I enjoyed a cup of coffee and ordered the Dirty Hash Browns, a dish that makes use of local flavors, including chile verde pork, queso cheese, and a sunny side up egg. There was a variety of hot sauces to choose from that were in adorable cork topped vials. All in all, a wonderful staycation at the Andaz Scottsdale Resort & Spa!